Macau Business – From Lotte World, a major recreational complex [with the world’s largest indoor theme park, in Seoul] to an integrated resort with casino in Jeju. A different beast. A natural evolution? Lawrence Teo – Business is the same. But building a landmark. M. B. – The group [Lotte] has created other landmarks in different types of business. Why would this be different? L. T. – Yes, Lotte Group has already created downtown Seoul and Lotte Super Tower. We’re trying to do the Dream Tower in Jeju. Lotte here is being just a family company; we’re a different company [Lotte Tour]. It’s not going to be [just] the tallest and the largest building in Jeju, that’s just the hardware. We say that a landmark should be the most visited destination, where tourists will go to eat, shop and maybe [visit] our observation deck. A must-visit point destination. Because of the hardware, and also the software. M. B. – What are the main goals that you definitely want to achieve with this Integrated Resort (IR)? L. T. – Number one EBIDTA on IR in Korea. There’s Paradise City [next to Incheon Airport, Seoul] and two more in the pipeline, with Caesars and Mohegan Sun [American gaming operators] and Shinhwa World opening in Jeju by the end of this year. A second goal would be to become the true landmark where Chinese and other foreign visitors, and even domestic tourists, feel they must visit. market share. But even here, which percentage would you like to say in the future ‘this is mine’? L. T. – It’s very difficult to answer that now. However, by being the number one EBIDTA IR in Korea, I’d say we should have a quarter of the foreign-only casino market share. M. B. – Not easy to achieve…? L. T. – We’re different from the ones being developed or already in operation. We’re much larger scale, in a better location, and our DNA is superior. M. B. – Lotte means many businesses in Korea. And different companies in a family conglomerate. The Lotte Tour part of the business has been focusing on more logistic tourism, with its market dominance in tours. Why casinos now? L. T. – Yes, Lotte Tour and Lotte Group are family related but separate companies. Both, with their affiliates, are more focused on tourism businesses. While Lotte Group owns the Lotte chain of hotels, the Super Tower, Lotte World and many others, like retail, petroleum and so on, we – Lotte Tour and Dongwha Duty Free – have been mainly focused on the tourism business. We are the oldest inbound/outbound tourism company in Korea and also the first duty free company in the country, since 1979. We’re not trying to do anything new but since the jewel of the tourism business is the casino business this Integrated Resort will be the pick of our business. M. B. – In Macau, it’s difficult to diversify from the casino industry and pay the bills. Most other businesses do not make much money if any but there’s the casino always ready to compensate the numbers, so the IRs can appeal to families as well as gamblers. But everyone can play in the casinos. In Jeju, none of the casinos allow domestic players. So, South Koreans will take advantage of the amenities while foreigners gamble. Is that a recipe for success? Will that be enough to pay the bills? L. T. – Dream Tower is not a government driven casino licence bidding project because we have owned the land since 1980. We’re a much more private business driven IR. That’s why we don’t have government driven amenities like the MICE businesses, theme parks or golf courses. We’re more a downtown, urban, casino resort. Basically we’re fat free. We’ll have 1,600 rooms, ten restaurants, an observation deck and retail. Whatever we think will attract foreign tourists to our casino. On a return on investment basis we’re fitter than any other [enterprise] in Korea. M. B. – Macau is nowadays seen as the jurisdiction to beat. When you look at Macau, with your experience, what areas do you think Jeju and the Dream Tower can beat Macau in? L. T. – I don’t think we will beat Macau but we can be a very good substitute for Macau. Jeju is the closest international destination from East China, from Beijing to Shanghai. Plus, the love that Chinese have for K-Culture – K-Pop, K-Drama, K-Food, we believe we (Jeju) can be as big as Singapore with its Marina Bay Sands (MBS) and Resort Sentosa. Jeju will have Dream Tower and Shinhwa World, which will be 2.5 times bigger than Resort World Sentosa. Phase 1 will open this year, in December, with Four Seasons and Marriot and many others in later stages. And we will be the same size as MBS if we exclude the MICE area and differences in casino area. So, we believe in the future because total Gross Gaming Revenue (GGR) can be as big as Singapore. M. B. – How many years do you estimate for return on investment? L. T. – We’re opening in September 2019 because Jeju is already a very mature tourism destination for foreigners; and since we’re the one and only, the largest and tallest landmark in downtown Jeju, we expect to stabilise within a year of opening. We will market our customers directly through our tourism and duty free marketing business experience. We will try to be profitable from the first year. L. T. – Right now, because Jeju has been the closest international destination from East China and the Chinese come to Jeju enjoying a visa-free status, there’s a 30 per cent increase [in the number of Chinese] from 2009 to 2016. Of all foreign visitors, Chinese represent 89 per cent – but after we build Dream Tower, besides the Chinese we expect rapid growth from Southeast Asian visitors, and we hope the Japanese will come back [to Korea] as they used to in the past. M. B. – What are the main marketing tools employed to attract Chinese players? L. T. – Jeju has always been a special place for the Chinese. It is a healing island, with the Chinese coming for a weekend through cruises but also for golf and sightseeing. The island provides all that and more. And since we’re in the middle of downtown, we will be pivotal to all of them. M. B. 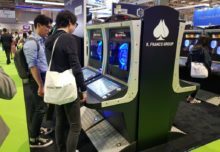 – If the Crown problems in China taught a lesson it was that gaming companies must pay attention to attracting gamblers on Chinese soil. Was that episode carefully followed in South Korea as well? L. T. – Korean casinos know what is forbidden in China, similar to the Singaporean and Macau casinos. Rather than doing direct marketing we hope to have more visitors from China but also from the rest of Asia. M. B. – The interest of gaming operators, from Vegas and from Macau, in being part of the Japanese opportunity is well known. 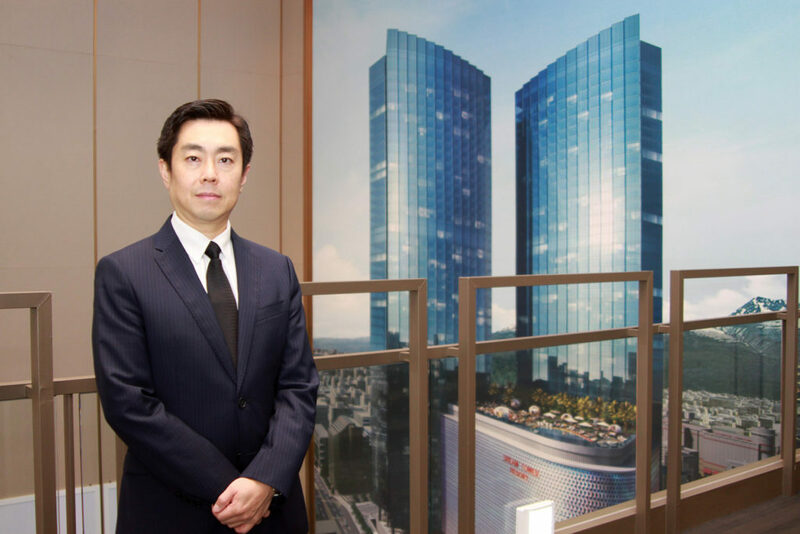 Lotte Tour, however, even with its strong links to business in Japan through other arms of the Lotte conglomerate, is not interested in investing in a gaming licence in Japan. Why is that? L. T. – We, Lotte Tour, want to focus on Dream Tower, trying to make it a success first. But also because the return on investment from a Japanese IR is probably not [going to be] as high as people might expect. So, we will focus on Jeju first and if possible expand with another in Seoul rather than in Tokyo or Osaka. M. B. – All these mega resorts, however, will continue to make just a fraction of a small casino in a remote part of South Korea. Just because Kangwon Land is the only one that can receive domestic players. Will gaming legislation in South Korea continue not allowing domestic players except those in a ski resort? L. T. – Some of the current new Korean Government representatives have mentioned that Jeju should have the next open domestic casino. After Singapore opened its casino business and when Japan follows suit there might be a chance Korea will have another open casino. If that happens I think Jeju will be the first place to be allowed, and we will be one of the operators in Korea trying to go after that licence.